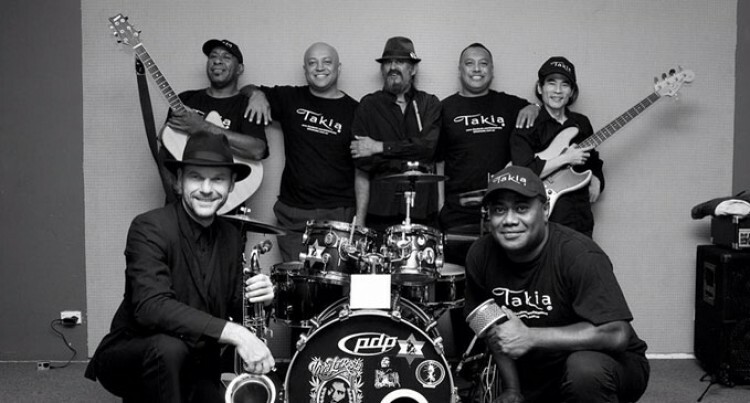 As part of their Fiji tour, Sydney-based reggae group Takia will be the host band in the prestigious FPRA Awards Night on Saturday, May 16, at the Grand Pacific Hotel in Suva. The was confirmed by band leader Mansus Knight, who indicated that they are ready to rock the country with their hit songs. “We’re looking forward to the tour,” he said from his Sydney home. “In this tour we want to go as far as we can to entertain the people of Fiji. Knight pointed out that the reason they are holding concerts in Labasa, Savusavu and even at Nausori. Knight said people who want to watch their concerts can buy their tickets at the venue. “We want to give everyone the opportunity to enjoy themselves at our concerts. Knight said the band consists of Tom Kaci on keyboard, Bill Seru as lead vocals and guitarist and lead guitarist Daemynn Walker. Also performing is legendary guitarist of the Kabani fame George Knight while 14-year-old Jnr Mansus will be the DJ.